So, the Scots and Irish of the whisky world have their prestige and elegance, dominating the industry not just in sales but also with their provenance. Bourbon, some say, could be classified as “not quite there, but maybe someday.” The goal of Chuck Cowdery, the book’s author, is to present Bourbon as dang near superior or at least equal in stature, character and provenance, unapologetically. The trend of the industry, wouldn’t you know it, is on Bourbon’s side. Sales are up, the growth of the various Bourbon brands is increasing, and more and more premium “top shelf” bottlings are showing up at stores (and selling, too). And guess what the bestselling whisky in the world is? That would be Jack Daniels, dear reader. Not a Bourbon, but close enough. So it’s great to see a book like this on the shelf championing the spirit known as Bourbon as here to stay. And in the reviewer’s opinion, succeeding greatly. Let’s start with the author’s statement in the book’s introduction. It is as follows: “everything people think about alcohol is wrong.” True, and more so with Bourbon. The origins of Bourbon concerning who, if anyone, invented the drink as we know it today (corn based, at least 51%), how it got its name, how it’s made, it’s provenance and how it survived Prohibition are most of time myth based. This review won’t cover those, for too much space would be needed. If your curiosity is ravenous, read the book. But the author takes on these questions with authority and without anyone’s permission (which I suspect is his style). And it is fun to read, quite frankly. Cowdery has a very credible voice in this book. He is known throughout the industry as a Bourbon expert, and this book does not take away from that fact. After the useful introduction, the author goes through a step by step explanation on how Bourbon is made. One may think that this chapter, or any chapter like this, is fairly standard in a book on Bourbon, Scotch or any spirit for that matter, but Bourbon’s very unique method of production is fascinating. For this reason, Bourbon has extraordinary character, and that is motivation enough to give it a good look, or sip. From distillation we go to wood management, or, how Bourbon is uniquely aged in American Oak barrels. Bourbon is aged in new, charred oak barrels. This is in contrast to Scotch or Irish whisky, which is usually aged in Bourbon barrels shipped over from America. This is why Bourbon is typically aged in less time, due to the spirit pulling influence from new wood, not previously aged wood. All in all, this book is practically a mini encyclopedia in its scope of knowledge given. 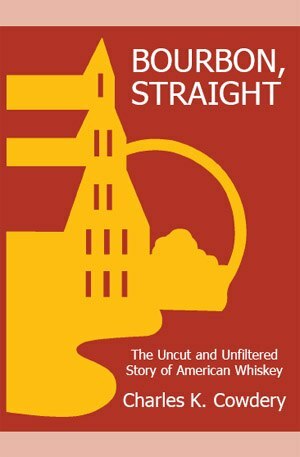 The author’s detailed history of the major distilleries and their founders covers not only the strict historic timeline but also adds insight into the social impact of Bourbon on America from the early farmer distillers through Prohibition and to today’s powerhouse brands (on a side note, be sure to check out the chapter, “Why Ratings Are Bull” to get a perspective that is no friend to clever marketing, and changes the way we look at whiskey reviews and ratings). Very helpful stuff and quite the excellent introduction to learning about America’s official spirit. Most importantly, this book shows you how best to enjoy it. The problem with whiskey “experts” is that they more often than not fail at helping the reader actually enjoy the very spirit they claim to know everything about. Read on!